President Donald Trump's son-in-law Jared Kushner and a team of senior White House aides embarked on a tour of the Middle East Sunday seeking to lay the foundation for peace talks between Israelis and Palestinians. So where did Kushner and the negotiating team go? White House officials contacted by CBS News won't say. A senior White House aide would only confirm that Kushner, Middle East envoy Jason Greenblatt and deputy national security adviser Dina Powell left the U.S. Sunday night and were in "the region on Monday." No details were provided on which country or countries they visited Tuesday or Wednesday morning after repeated inquiries by CBS News. The official said the White House aides would arrive in Israel Wednesday night for separate meetings with Israeli Prime Minister Benjamin Netanyahu and Palestinian President Mahmoud Abbas Thursday. Asked if there were security concerns about disclosing the location of Kushner's meeting, the official did not respond. Jordanian media published a photo that showed Kushner meeting with King Abdullah in Amman on Tuesday. CBS News has confirmed, through an Egyptian government spokesperson, that on Wednesday, Kushner and his team met with Egypt's president Fateh el-Sisi in Cairo, as well as with the foreign minister, Sameh Shoukry. 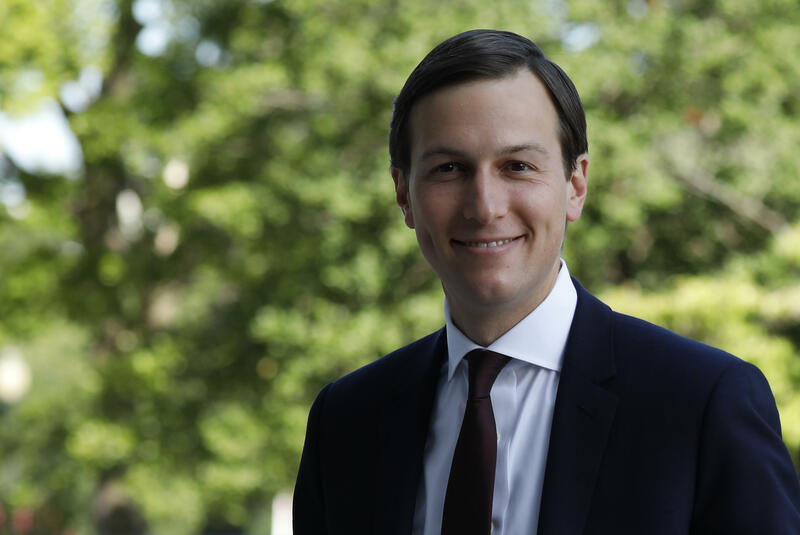 The spokesperson said that Shoukry gave Kushner's delegation Egypt's assessment of the political and security situation in the occupied Palestinian territories and Israel. According to the spokesperson, the foreign minister also called for a "clear timeframe and agreed-upon references for negotiations" and said the whole region "is eager for peace and a lasting solution" to the conflict that guarantees an independent Palestinian state living next to Israel." But the Trump administration has not made public any details about the substance of those meetings. Defense Secretary James Mattis also made stops in the Middle East this week, but two U.S. officials confirmed to CBS News White House Correspondent Margaret Brennan that the president's son-in-law did not join Mattis on any of his stops. Kushner, Powell and Greenblatt are acting as official representatives of the United States government, which means taxpayers are covering the cost of their travel. Why the White House refuses to confirm basic details of their itinerary remains unclear. Powell did not respond to an email requesting comment. Nineteen U.S. citizens are imprisoned in Egypt, and Powell has led the administration's effort to free them. Before the trip, the White House said Kushner's team "will be meeting with leaders from Saudi Arabia, the United Arab Emirates, Qatar, Jordan, Egypt, Israel and the Palestinian Authority," but did not say where or when. Kushner oversees a broad White House portfolio that includes negotiating Middle East peace, modernizing the government, combatting the opioid epidemic and he serves as a liaison for several key foreign leaders. CBS News White House and senior foreign affairs correspondent Margaret Brennan contributed to this report.